CARFAX 1-Owner. $300 below NADA Retail!, EPA 34 MPG Hwy/21 MPG City! Graphite Luster Metallic exterior and Ebony interior, V6 Tech trim. NAV, Sunroof, Heated Leather Seats, Alloy Wheels. AND MORE! 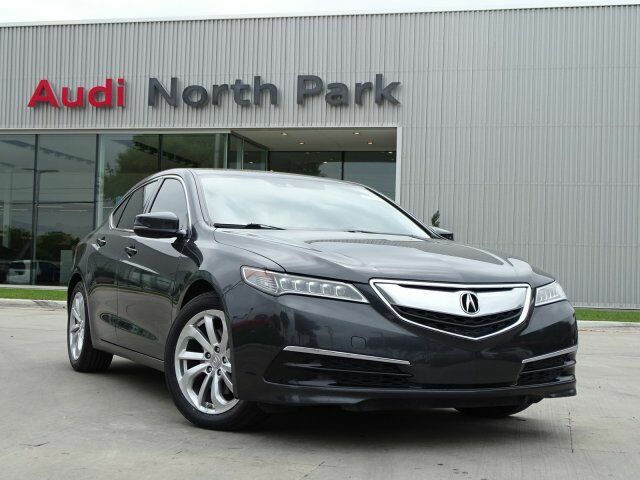 Leather Seats, Navigation, Heated Driver Seat Acura V6 Tech with Graphite Luster Metallic exterior and Ebony interior features a V6 Cylinder Engine with 290 HP at 6200 RPM*. MP3 Player, Sunroof, Aluminum Wheels, Keyless Entry, Remote Trunk Release, Steering Wheel Controls, Child Safety Locks. Edmunds.com's review says "The TLX also gives you a nice mix of luxury and sport. The roomy and impressively quiet cabin is a comfortable place to spend your commuting hours, and it comes with plenty of high-tech equipment as standard. ".